When we make a decision on what to do, we all have an inner voice that wrestles with our thoughts, and guides us. That inner voice is the Holy Spirit. It speaks to us and helps us to understand the difference between right and wrong. As we get older, our knowledge is greater and our conscious works harder at making the right decisions. When we make the right decision, we feel peace, when we make the wrong decision we feel guilt. 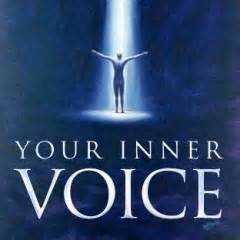 Do you listen to your inner voice? Do you allow it to guide you in your decisions? Do you feel peace, or guilt? We are faced with decisions to make, from the moment we get up until the moment we go to sleep. We need to decide on simple things as much as we need to decide on complex things. The simple decisions may not carry major consequences, but the complex ones may. How do we know what is the right decision that will bring peace? First, we need to consult God. Ask him for guidance and listen to what he has to say. He answers us in his time, so we need to be patient and wait. 7:8 The end of a matter is better than its beginning; likewise, patience is better than pride. 3:26 It is good to wait patiently for deliverance from the Lord. Second, we need to rationalize the consequences of the decisions we make. Once we do this step, then we need to understand if the consequences are positive or negative. If the consequences are negative, can we avoid them? If it cannot be avoided, can we live with the decision in peace? If we cannot live with the decision in peace, then we need to look for other avenues that we have not followed. Take a second look at the decision and look for other ways to change it into a positive outcome. If the consequences are positive, how do we know is the right decision? We know is the right decision, because when we consult God, we will have peace in our hearts, we will have no doubts, and we will have a positive outcome. O God, grant the king the ability to make just decisions! Grant the king’s son the ability to make fair decisions! When we make a decision that makes us feel guilty, then we have not made the right decision. Guilt stays in us and does not allow us to feel good about what was decided. Guilt eats away in our minds. When we feel guilty of anything we have decided, then we are listening to the inner voice that is guiding us along. It is letting us know that something is not right. The Holy Spirit convicts us and does not allow us to feel peace. However, if we confess our guilt to God, talk to him through prayer, and listen to his guidance or teaching, then we can release the feeling of guilt and replace it with peace. 9:6 I prayed, “O my God, I am ashamed and embarrassed to lift my face to you, my God! For our iniquities have climbed higher than our heads, and our guilt extends to the heavens. Every decision we make has two possibilities. It can be negative, or positive, peaceful or guilty. As individuals, we are free to make any decision we want. However, as a child of God, every decision we make, needs to be guided by the Holy Spirit, the inner voice that tells us what is right or what is wrong. If we, patiently, listen to our inner voice, will be making the right decision. Categories: devotions, god, gods heart | Tags: Bible, Child of God, Christ, God, Holy Spirit, Jesus, Lord, Peace | Permalink.